8... Does Hypertension or Preeclampsia During Pregnancy Cause Long-Term Heart and Blood Vessel Problems? 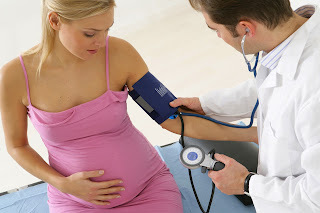 7... How Can Women with High Blood Pressure Prevent Problems During Pregnancy? 5.. Who Is More Likely to Develop Preeclampsia? Women with chronic hypertension (high blood pressure before becoming pregnant).Women who developed high blood pressure or preeclampsia during a previous pregnancy, especially if these conditions occurred early in the pregnancy.Women who are obese prior to pregnancy.Pregnant women under the age of 20 or over the age of 40.Women who are pregnant with more than one baby.Women with diabetes, kidney disease, rheumatoid arthritis, lupus, or scleroderma. 6... How Is Preeclampsia Detected? Preeclampsia is a condition that typically starts after the 20th week of pregnancy and is related to increased blood pressure and protein in the mother's urine (as a result of kidney problems). Preeclampsia affects the placenta, and it can affect the mother's kidney, liver, and brain. When preeclampsia causes seizures, the condition is known as eclampsia--the second leading cause of maternal death in the U.S. Preeclampsia is also a leading cause of fetal complications, which include low birth weight, premature birth, and stillbirth. There is no proven way to prevent preeclampsia. Most women who develop signs of preeclampsia, however, are closely monitored to lessen or avoid related problems. The only way to "cure" preeclampsia is to deliver the baby. Age is the most important factor affecting a woman's chance to conceive and have a healthy child. As women age their fertility declines. A woman's fertility starts to decline in her early 30s, with the decline speeding up after 35. At 40 a woman only has a 5% chance of becoming pregnant in any month. 5... How Do Blocked Fallopian Tubes Cause Infertility? Each month, when ovulation occurs, an egg is released from one of the ovaries. The egg travels from the ovary, through the tubes, and into the uterus. The sperm also need to swim their way from the cervix, through the uterus, and through the fallopian tubes to get to the egg. Fertilization usually takes place while the egg is traveling through the tube. If one or both fallopian tubes are blocked, the egg cannot reach the uterus, and the sperm cannot reach the egg, preventing fertilization and pregnancy. It's also possible for the tube not to be blocked totally, but only partially. This can increase the risk of a tubal pregnancy, or ectopic pregnancy. There are different types of fallopian tube blockages. Because the fallopian tubes have different parts and are a tube, there may be different parts of the tube blocked. Each section has its own name. Doctors have also come to find out that there are patterns of disease or trauma that may affect certain parts of the fallopian tubes more than others. So when Fallopian Tubes are blocked, eggs cannot reach to the uterus which impedes fertilization and eventually pregnancy. Single tubal blockage as well as both tubes blockage is equally fatal. Blocking of fallopian tubes is one of the major causes of infertility among women and accounts for 40% cases of infertility. 10.. Will my baby be affected? 6... What causes iron deficiency anemia during pregnancy? Your body uses iron to make hemoglobin, a protein in the red blood cells that carries oxygen to your tissues. During pregnancy, you need double the amount of iron that non pregnant women need. Your body needs this iron to make more blood to supply oxygen to your baby. If you don't have enough iron stores or get enough iron during pregnancy, you could develop iron deficiency anemia. 7... How does iron deficiency anemia during pregnancy affect the baby? Severe anemia during pregnancy increases your risk of premature birth, having a low birth weight baby and postpartum depression. Some studies also show an increased risk of infant death immediately before or after birth. 8... How does iron deficiency anemia during pregnancy affect the baby? 3... What is anemia during pregnancy? Your body goes through significant changes when you become pregnant. The amount of blood in your body increases by about 20-30 percent, which increases the supply of iron and vitamins that the body needs to make hemoglobin. 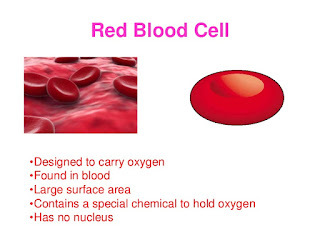 Hemoglobin is the protein in red blood cells that carries oxygen to other cells in your body. Many women lack the sufficient amount of iron needed for the second and third trimesters. When your body needs more iron than it has available, you can become anemic. Mental retardation is caused by many factors; many of these are known, but others remain unidentified (The Arc, 2005). The link between the identification of specific causes of mental retardation and the development and implementation of preventive measures is clear. When a cause is identified, ways to prevent the debilitating effects of cognitive disabilities have often followed soon after. But it takes action for solutions actually to prevent or reduce the impact of the condition. 3. If the Oxygen is insufficient to the unborn child In first three months of pregnancy . 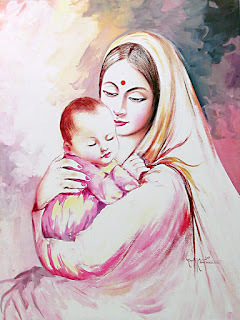 Mother's food consumes oxygen to digest mother's food and remaining oxygen is sent to develop all cells of unborn child. Birth defects of the central nervous system are called neural tube defects (NTDs). NTDs include conditions called spina bifida, anencephaly and encephalocele. They are all present at birth and are due to a problem with the development of the brain and/or spinal cord in the developing baby (fetus). Neural tube defects are birth defects of the brain, spine, or spinal cord. They happen in the first month of pregnancy, often before a woman even knows that she is pregnant. The two most common neural tube defects are spina bifida and anencephaly. 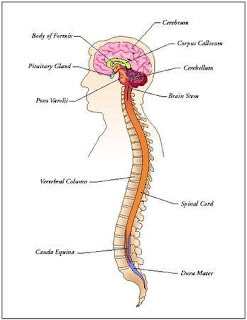 In spina bifida, the fetal spinal column doesn't close completely.